The needs of healthcare professionals and members of the public are ever changing. There is now clear recognition that life support techniques must be immediately available to improve the chances of success. Along with the desire to save a life come important health and safety lessons. Inappropriate intervention produces more than one victim! 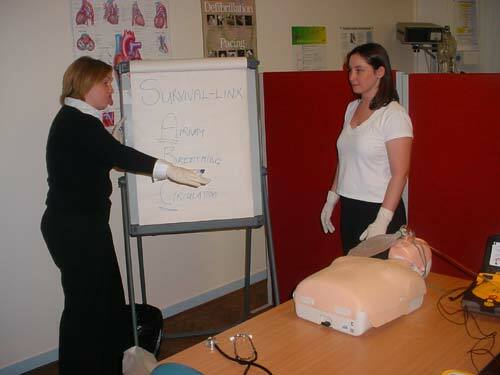 Survival-linX has unique experience in the implementation of existing national and international training courses and the design of bespoke courses tailored for individuals and groups. We provide one, two or three day advanced courses for those working with adults and/or children. These courses not only provide education and skills to the latest standards but also include teaching scenarios and practice drills. This facilitates candidates to put their newly acquired skills and knowledge into practice. We have the only recognised trainers for the fastest growing life support course, Paediatric Education for Prehospital Professional (PEPP). This course uses the most innovative and unique teaching methods available. A course manual is supplied to support the course and provides an important reference for on-going education and revision. PEPP is fully supported by the American Academy of Paediatrics. The Pre-hospital Trauma Life Support(PHTLS) course is a unique continuing education program created in recognition of the need in emergency education for additional training in the handling of the trauma patient. This two day program is designed to enhance and increase knowledge and skill in delivering critical care in the pre-hospital environment. PHTLS is fully supported and certificated by the Royal College of Surgeons. Advanced Paediatric Life Support (APLS) includes lectures, skills, workshops and resuscitation simulations. 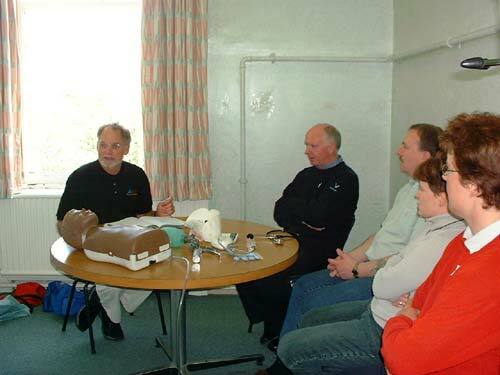 Topics covered include: Recognition of the seriously ill child , Basic Life Support , Airway Management , Cardiac Arrest , Neonatal Resuscitation, Respiratory Emergencies, Cardiac Emergencies, Management of Shock , Coma & Convulsions , Initial Assessment & Management of Trauma , Abdominal/Chest Trauma , Head & Spinal Trauma , Burns & Near Drowning, Defibrillation & Rhythms, Vascular Access ,Chest Drains / Pericardiocentesis, Cervical Collar use and spinal immobilisation, Surgical Airway, Pain Management , Acid Base , Fluid & Electrolytes , Radiology, The Septic Child, Transportation and Neurological Assessment . APLS is fully supported and certificated by the advanced paediatric life support group (ALSG UK). Paediatric Life Support (PLS) includes lectures, skills, workshops and resuscitation simulations. Topics covered include: Basic Life Support, Airway & Ventilation, Recognition of the Seriously Ill Child, Initial Assessment & Management of the Seriously Ill Child, Cardiac Arrest Protocols & Defibrillation, Intraosseous Infusion, and Asystole & VF Rhythm Recognition. PLS is fully supported and certificated by the advanced paediatric life support group (ALSG UK). The SAFE TRANSFER and RETRIEVAL COURSE is an advanced life support course designed for all medical, nursing, technical (ICU) and paramedical staff who deal with inter or intra hospital transfers and retrievals. 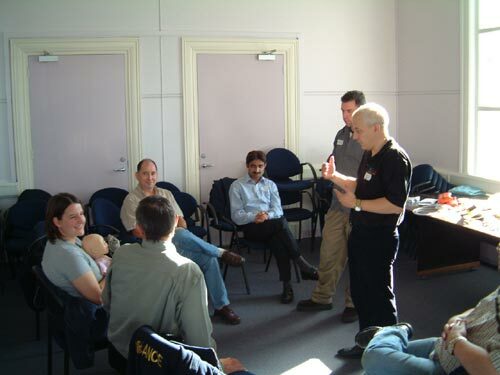 The course teaches a systematic approach to the safe transfer and retrieval of critically ill and injured patients. While both long and short transfer times pose significant risks the latter can more often prove to the most difficult as it is perceived as a short trip e.g. the back of the ambulance to the A&E resuscitation bay or the transfer from ICU to the CT scanner and therefore we are unprepared. The STaR course is aimed at trying to overcome the practical difficulties faced by healthcare professionals. As we use the systematic A, B, C, D, E approach for assessment and treatment of both the paediatric and adult patient STaR employs a unique systematic approach to all patient transfer and retrieval called ACCEPT. The ACCEPT approach stands for Assessment, Control, Communication, Evaluation, Preparing and packaging and Transportation. By following ACCEPT approach the right patient is taken at the right time, by the right people, to the right place by the right form of transport and receives the right care throughout. STaR is fully supported and certificated by the advanced paediatric life support group (ALSG UK).